The first vineyards in Europe emerged in the first millennium of the era, especially along rivers or at their often terraced Hang. These had in the antiquity also of great importance for the wine trade, The Romans used for transport by means of amphorae for two main routes. One ran on the Garonne from the south of France in the region Languedoc-Roussillon to Toulouse and on to Bordeaux to the Atlantic, the other from Arles on the Mediterranean upriver Rhone to Lyon, from there continue on the tributary Saône and over the country road to Moselle until the Rhine and on this to the North Sea. 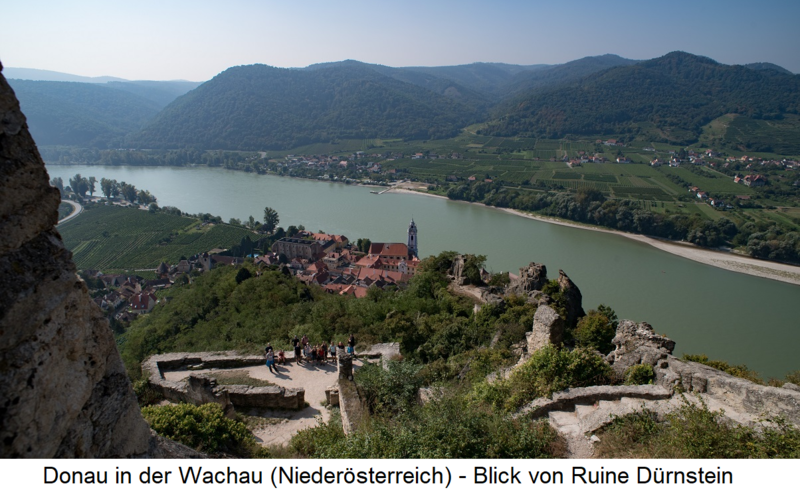 Waters such as rivers, oceans and lakes have a positive effect on viticulture in several respects and thus contribute to the so-called "viniculture" Weinbauwürdigkeit (Higt of an area for viticulture). The climate-regulating effect of large amounts of water causes a mitigation of the danger of frost, The formation of valleys creates good conditions. Because of the slopes Good sun exposure is achieved, which is cheaper exposition (Sunshine direction) gives optimal conditions. Rivers and lakes provide ideal climatic conditions for the formation of moisture Botrytis and with it very sweet Cry. 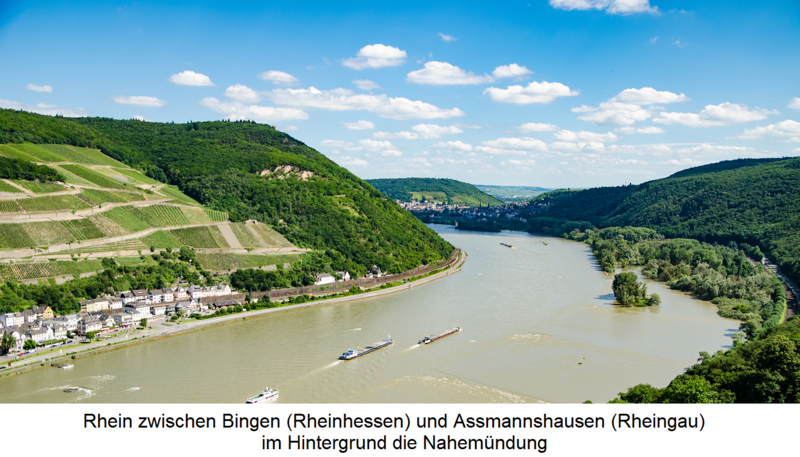 examples are Sauterne (France), areas on the Rhine (Germany) and Neusiedlersee (Austria). Especially in northern, central and eastern Europe, many important wine-growing regions are located on rivers. Of great importance are above all Danube. Dordogne. Douro. Garonne. Gironde. Loire. Main. 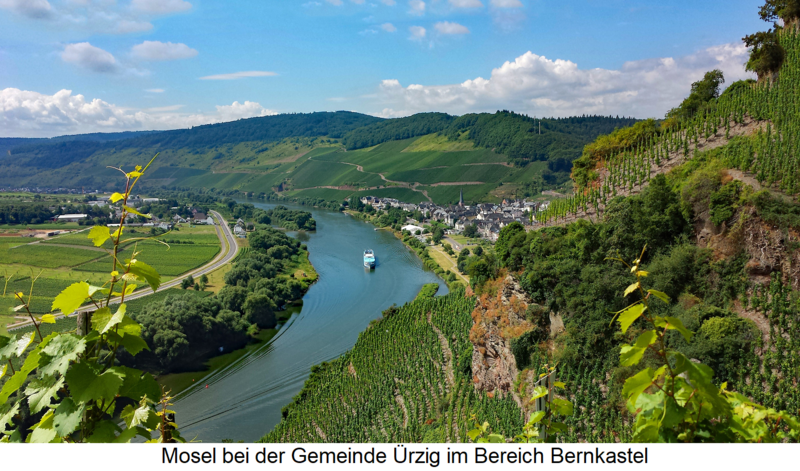 Moselle (see image), Rhine and Rhone, as well as their numerous tributaries. Rivers are in low rainfall Areas the basis for artificial irrigation, Examples of this are the Australian area Riverland (Murray River), the US states California (Sacramento River, San Joaquin River) and Washington (Columbia River, Snake River, Yakima River), as well as in South Africa. Argentina and Chile, Near the oceans, the maritime effect climate as a compensating temperature buffer. The water temperature changes more slowly than the temperature on land due to the large heat capacity. As a result, the land near the coast is cooled by the sea in summer and heated in winter. That affects in Australia. Chile. South Africa and in the west of the United States positive. This applies equally to lakes as well Balaton (Lake Balaton, Hungary), Lake Constance (Germany), Three-Lakes and Lake Zurich (Switzerland), Lake Garda (Italy), as well Lake Neusiedl (Austria). This page was last modified at 20 November 2018 at 20:28.